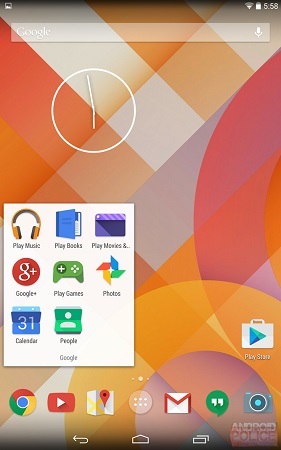 With rumors claiming that the Android 4.5 is nearing, a series of screenshots have been leaked suggesting that the platform may get an immense redesign. According to reliable sources, who have managed to obtain Android screenshots showing new set of icons, the platform may receive a complete overhaul for the design. While the new icons seem to be inspired by the flat Google web icons, there is still a slight difference with the former using stark contrasting colors besides casting hard shadows. Sources in the know mention that the new style is called as Moonshine within the development circles. Given that the Android v4.4.3 is a minor incremental update, it’s unlikely that we’d see the new style in this release. As such this change may be reflected in the Android v4.5 which is expected only in 2015. Till then, this icon set may get further changes to make it more similar to the web interface. Check out the new icons in the image and let us know what you think.